This blade is ideal for those who hire floor cutting machines. 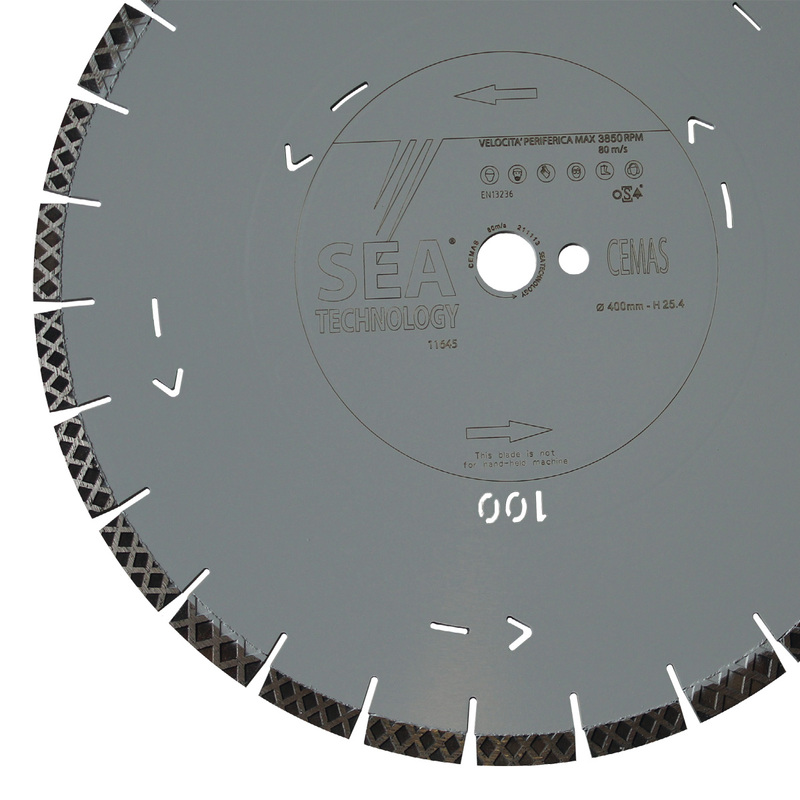 The special composition of the diamond segments makes the cutting of reinforced concrete and asphalt possible with the same tool, eliminating the need to use two different blade. To be mentioned are both the grid design of the segment which makes it especially quick on reinforced concrete, and the 14 mm protection segment which allows the regular use of the tool on asphalt.